Gionee, the specialized mobile device design company from China is out with its first Android smartphone in the Indian smart phone market today with the launch of the Dream D1. The Dream D1 is an ultra slim device at 8.6 mm thickness. It is powered by a 1.2 GHz Quad Core Processor. The device is having a 4.65 inch Super AMOLED Plus HD display with 316 PPi screen resolution and Corning Gorilla Glass 2 for scratch resistance. The full specs and features of the device are given below. - 1 Mega Pixel Front Camera. 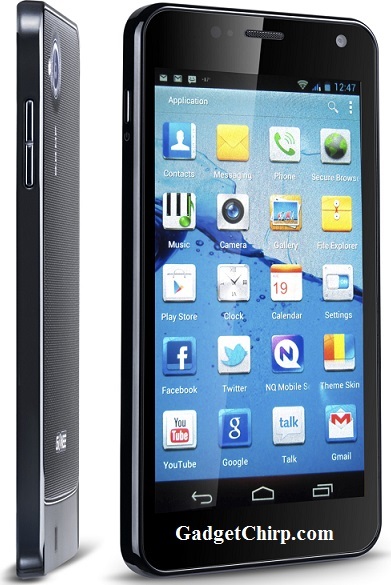 The price of Gionee Dream-D1 in India is INR 17,999 and the device will available at the leading mobile retail outlets in the second half of March 2013.